“What I like about Jas is his sharp mind and his dedication to taking care of his clients. In fact his newsletters and blogs are very informative and I love the fact that he has a down-to-earth approach, tells it how it is and doesn't play politics! When we bought a Condo Assignment he was selling for a client in Edmonton, we had no clue what we were getting into. Jas was very patient with us and provided the feeling of security we needed to buy. I could only imagine the juggling he had to do to get this deal done with Tridel, the Seller and myself. It was a great investment and I’m happy I bought. I recommend Jas to anyone who is thinking of buying or selling. You can depend on Jas and his Team to look after you. "Being a first time home buyer is overwhelming. Where do you start, where do you look, how do you find the time to weed through all these listings? A great real estate agent can make buying a house seem simple. When we met Jas through the Morningside Heights Soccer program (a program he and his wife initiated) I began talking to him about finding a house. We were renting and felt the time was right to purchase our first home. I have never been so pleased. Jas took time (day and night) to help us find the right house for us. He used up to date information, honesty and integrity to help us during our search. As we put in an offer, the situation was not so scary because we knew Jas was right beside us guiding us through the process. He was on time for every scheduled visit and took notes and pictures during the inspection. We love the fact that we knew Jas was a mere phone call away and no problem was too much or too little for him. Jas' calm demeanor helped calm us during the troubling times (as undoubtedly there will be). “My wife and I were first time homebuyers. I contacted Jas because his website was, and still is, awesome! I explained to Jas how picky and time consuming we may be as possible clients. I pay extra attention to detail because as an Engineer, it has become part of how I make every decision especially one that was going to cost us close to $400000. That did not dissuade him. He took his time explaining the best options for our particular situation, researched the best possible prices for given areas, and provided invaluable input when he believed it would benefit us. A description in words of the absolutely magnificent service Jas provided us would not do him justice. He was a very personable, knowledgeable, honest, hard-working and energetic Realtor. My family and I don’t only know Jas as a great Realtor, we now know him as a great friend. Jas is an absolute professional; he is a tremendous credit to his profession!” If you are looking for the Real Deal, Jas is your Realtor! "Hi Jas, It is so refreshing to find an agent who is caring and sincere as you were with us. I know I had many insecurities and lots of questions about investing and I want to thank you for being patient and taking the time to give me honest answers. The best part was that you didn't try to sell us a bunch of crap but instead you took the time to inform us about the risks and rewards to investing using your personal experiences as examples. Thank you so much for helping us invest in our very first condo! We will certainly be referring you to our family and friends. You are a fine agent and even nicer person." 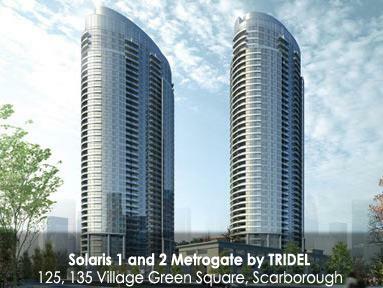 "Thank you Jas for assisting my mom and I in purchasing a 2BR, 2WR investment condo suite at Scarborough Town Centre. I did pass your name to Eraste at work and he’s looking forward to talking with you. I’ve let him know how hard working, honest and dependable you are. My mom and I were impressed by your professionalism and we just want to say thanks!" "Working with Jas has been an absolute pleasure…We knew exactly which neighbourhood we wanted to be in and had a very definite idea of the property type we were looking for. Jas never showed us anything we couldn’t afford; he kept in mind our requirements as a result we found our ideal home the second time we went looking for houses with him. Our mortgage had already been arranged because Jas had us properly prepared and we were preapproved. He even worked over time to have us sign some time sensitive documents, so I didn’t lose the house… fantastic service. Jas's exceptional negotiating skills helped us buy the home far below listed price. Six weeks after our initial consultation with Jas, we move into our home… no hassles, no fuss… simply the best, quickest service ever". Thank you so much Jas! Whenever we move again...we know exactly who to call. "Dear Jas, Thanks so much for organizing the soccer program for the kids in this community. I am glad kids not only could learn soccer skills but also they Have so….. much fun! Thanks for emailing us all the updated info and Photos & we really appreciate it. 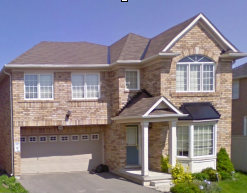 www.BrooksideSoccer.ca"
Are You Fit To Buy a Home? Jas Jagpal will love to help you find your dream home. Please click here and provide me with as much details as possible. If possible, please complete the Home Buyer Questionnaire and Fax or E-mail it to me.